In Defense of Troublemakers by Charlan Nemeth. In Defense of Troublemakers, Charlan Nemeth, makes a powerful and compelling argument for the importance of dissenting voices. Intelligent and insightful, Nemeth highlghts that the consesus opinion should not be given special dispensation to escape scrutiny. Healthy debate and dissent forces people to question the status quo, it fosters the consideration of new information, and yields creative decision making. A reflection on the unique, results-oriented discipline developed over decades of leadership. Travis provides a blueprint for any organization to achieve prosperity. With over forty years of experience, Nigel Travis is a must-read! Workplace problems require innovative and inventive solutions. However, in order to get the most effective answers, you need to ask the right questions. Gregersen describes how to rethink your problem solving & brainstorming. 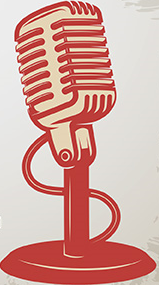 Enjoy the holiday performance that recreates the experience of attending a recording ofa 1940's radio show broadcast on Christmas Eve during World War II, inspired by author Pat Kruis Tellinghusen. Tickets are $5.00 to help with licensing fees. Link your library card to access free business courses, from business courses to coding.